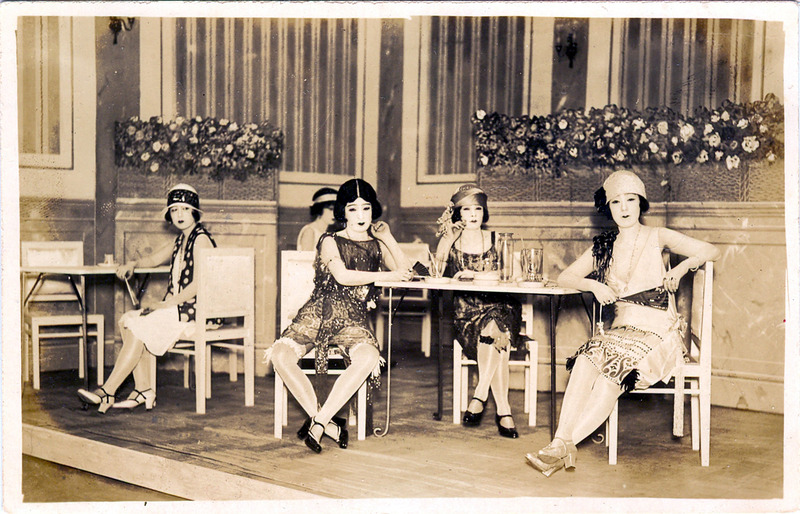 “Taxi dancers” at a Tokyo dance club, c. 1930. “Ginza Dance Hall boasted a revolving band-stand, while the most opulent and celebrated establishment of Japan’s Jazz Age, Ballroom Florida (named after a Parisian dance hall), took up the entire third floor of Akasaka’s Tameike Hall. Large halls such as Ginza, Florida, and Teitoza in Tokyo employed more than one hundred dancers apiece, bringing the total number of professional dancers in Tokyo to nearly eight hundred, according to a 1933 survey. Florida was known for contracting elite foreign bands to play the night shows, and Douglas Fairbanks, Charles Chaplin and other celebrities from the worlds of politics and entertainment entered their names on the police-mandated guest register. “While foreign bands would remain a staple during Florida’s golden years, after 1930 the best native bands, such as Kikuchi Shigeya’s group, performed matinees for early-bird dancers. The dance hall craze propelled Japan’s most talented musicians into the ranks of high-paid entertainers, at a time when unemployment afflicted college-educated people nationwide … Jimmy Harada recalled making nearly twice the starting salary of a college-educated corporate employee, and music writer Horiuchi Keizo has estimated that dance hall musicians made as much as ¥200 to ¥300 a month at a time when ¥50 was considered a good income.